Amitai studied at Yeshivat Ma’ale Gilboa while also serving in the Israeli Army as a tank commander in Judea and Samaria. After his military service, Amitai completed his degree and graduated with honors from the Argov Fellows Program at the Lauder School of Government, Diplomacy, and Strategy at IDC Herzliya. 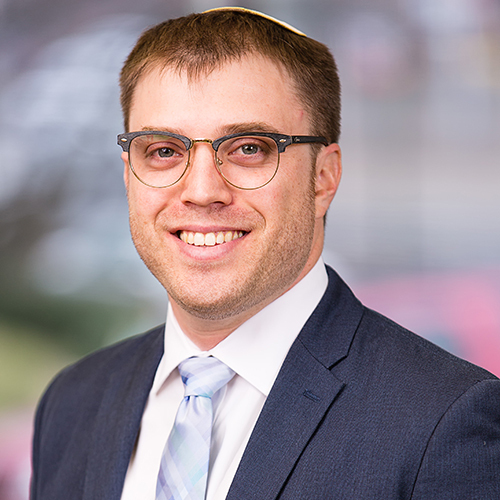 During his studies at YCT, Amitai has served as the rabbinic intern at the Bronfman Center at New York University and at Garin Tzabar, the Israeli Scouts lone soldier program. In 2017 Amitai completed a dual Masters (MPA-MA) at New York University. Amitai is the founder of שזור/Interwoven an educational startup designed to bring American and Israeli Jewry closer together.